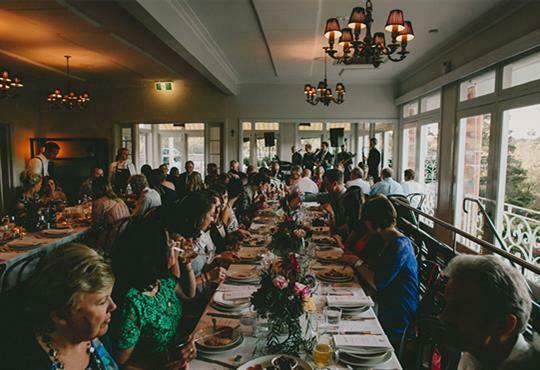 Situated in Melbourne's northern suburb of South Morang on 16 acres of scenic landscape, near the beautiful Plenty Gorge Parklands, Farm Vigano is the ideal place for a special night out or a memorable event. The property was once owned by iconic Melbourne restauranteur Mario Vigano (1888-1966), who emigrated from Lombardia Italy in 1928. In 1932, he purchased the Melbourne Club Hotel, 198 Exhibition Street, which he then opened as Mario's. The restaurant gave Melbourne a taste of Italy, with Italian chefs migrating to Australia to work in the restaurant. With its love for celebrating Italian cuisine, Mario's soon became the most widely patronized Melbourne Italian restaurant. After the success of his restaurant, Mario bought the South Morang property, with his wife Maria Teresa Ferrari (1884-1969), who was an accomplished painter and whose works were exhibited at the NGV and Milan. Mario and Maria entertained at their beautiful property which still stands today as a testament to their success and their significant and lasting contribution to Melbourne's Italian food scene. Farm Vigano is set amongst the Australian landscape with beautiful views and crisp air. Inside, the spaces are warm and inviting with light colours and elegant table settings. The food is abundant and Farm Vigano prides itself on providing an indulgent Italian food experience. 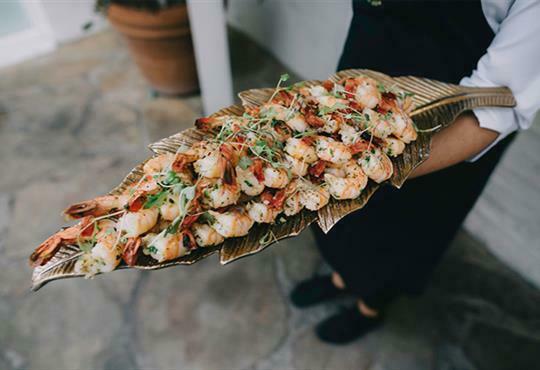 Inspired by the traditional Italian dining custom, Farm Vigano has created 'The Italian Passion' Package for events, where the food is placed at the centre of the table allowing all guests to share in the experience. 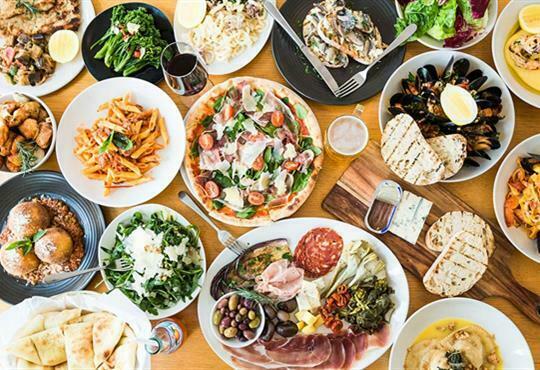 There is an abundance of food for all to savour, including delectable antipasto platters, pizze to share, braised slow cooked lamb or slow roasted pork with rosemary butter for the main. Alternatively, you can design your event around a grazing station concept for a true Italian feast. An abundance of spectacular food is laid out on beautifully decorated tables for guests to enjoy. The grazing station is a mouth-watering feast of bread and olives, platters of prosciutto, mild sopressa and mortadella, vegetables like home-made roasted eggplant and Sicilian sundried cherry tomatoes, pizze to share, meat dishes, roast potatoes and incredible Italian cheese. For that special event, an elegant cocktail party with true Italian flair can be arranged. There are extensive options to choose from with a variety of small dishes matched with a range of beverages. 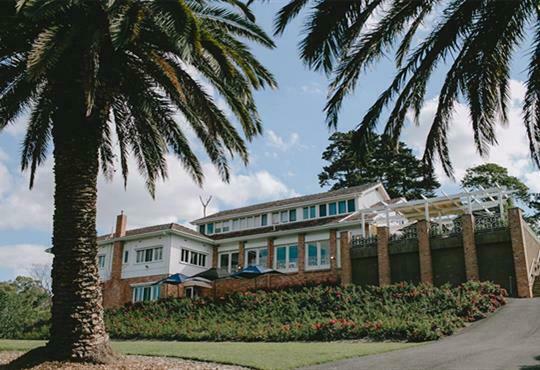 Weddings and events can be arranged in one of 4 dining areas, the Garden Room which is a private room with a private terrace looking out to the Australian landscape. It seats up to 60 guests and up to 100 standup guests for a cocktail party. The room can be decorated to suit your needs with the assistance of the Events Coordinator. The Alcove, a semi-private room, adjoins the main dining area and is lovely for a cosy birthday party celebration, seating up to 32 guests. The Terrazza is a private closable outdoor terrace which can entertain up to 70 seated guests. You can make a reservation ahead of time to dine in the restaurant by calling the restaurant on 9407 1212 or by using the reservations tab on their website. The menu consists of delicious naturally prepared dishes with fresh, seasonal ingredients and produce from the reclaimed and re-planted orchard and vegetable gardens that surround the restaurant.